Imagine a shortcut to copywriting greatness. Imagine bypassing the usual DECADES long learning curve. …with lavish praise being heaped upon you by one of the biggest and most successful direct marketers and publishers in the world. I gotta tell ya… it FEELS wonderful. But there’s something that feels even MORE wonderful than that. …and even 7-figure royalty checks from that big “800 lb. gorilla” marketer. Yeah, the praise, accolades and recognition are pretty darn fulfilling. THAT is the bees knees, my dear reader. Listen… I have to be totally transparent with you. I’ve made the process of accomplishing all that a LOT more difficult than it needs to be. 1. I simply didn’t know any better. You see, I came from the “cut open a vein and bleed” school of copywriting. But I think that’s been a limiting belief that has held me back for a long time. 2. I didn’t have a better system. So I was stuck practically sweating BLOOD to produce world class copy. But now… it doesn’t have to be that hard for YOU. My friend, Joe Schriefer — Executive Publisher at Agora Financial — has spent years METICULOUSLY developing a unique copywriting system. You see, some time ago Joe wanted to be a Hollywood screenwriter. So he studied all the things those Hollywood creative types do to write blockbuster successful movies. Now Joe’s one smart dude. And he figured out how to apply all their Hollywood secrets to creating winning sales copy. Wanna know how it’s working? …in as little as two weeks! And if you qualify I’m gonna show you EVERYTHING. Today… Friday — June 24, 2016 at 3PM Eastern Time — Joe will be revealing his entire system… A-to-Z… showing how YOU can use this system to fill your coffers with capacious cashola. …Joe is going to reveal how you can take advantage of a special once-in-a-lifetime opportunity. An opportunity to be the next Agora superstar. …or a “green as a pool table and twice as square” copywriting rookie with little… or even ZERO experience. I gotta tell ya… I’m SUPER excited! Because this can be LIFE CHANGING for you. The ONLY people who get in on exciting, life changing, millionaire-making stuff like this are my beloved knights in the Marketing Camelot. …you need to claim your knighthood NOW. Listen… make the decision you’ve been putting off for wayyyy too long. The decision to invest in yourself. And create the life you KNOW you deserve. Yes, I can confirm it… you DO deserve the life you’ve been dreaming about. And I’m gonna help you get it. I’ll see ya on the webinar. 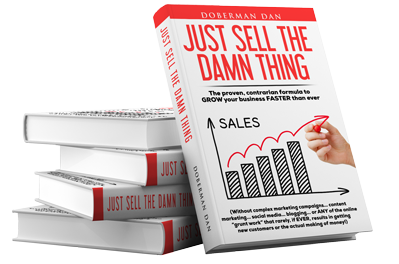 Previous post: From rookie copywriter to $2 million… in only 2 weeks!